For each year thereafter Aquamate’s liability to meet Warranty Costs incurred in that year shall decrease by 5% until the 20th year where Aquamate agrees to meet 5% of the Warranty Costs (and the Customer 95%). To submit a warranty claim, please contact Aquamate Toll Free 1800 633 995 or send an email to info@aquamate.com.au. Aquamate will provide the purchaser with a Warranty Claim Form for completion. The completed Warranty Claim Form, proof of purchase and any photographic evidence requested by Aquamate must be returned to Aquamate, at the purchaser’s cost and in the manner directed by Aquamate. Aquamate will assess all written claims and repair or replace the product at its own discretion, on the basis set out in these warranty terms and conditions. Approval from Aquamate must be obtained prior to any remedial action being undertaken or the warranty claim will be rejected. Aquamate will be responsible for any transportation costs that apply to any replacement or repaired tank that is returned to the purchaser. The purchaser is responsible for all other costs arising out of a warranty claim, including transport costs to Aquamate or its nominee, installation, handling and storage of tank contents and the disposal of any replaced tank (if applicable). If requested by Aquamate, products installed in remote and/or inaccessible locations may need to be returned to an Aquamate agent’s premises or other location as required by Aquamate at the purchaser’s expense to enable inspection and/or repair. Aquamate may require the removal of the contents of any tank to allow inspection and/or repair or replacement. The cost of the removal and storage of contents will be borne by the purchaser. modifications to the water tank by the Customer or a third party. The liability of Aquamate is limited to (at Aquamate’s discretion) replacing the water tank, repairing the water tank or payment for the cost of replacing or repairing the water tank. Aquamate’s liability shall not, under any circumstances, extend to replacing or restoring the contents of the Water Tank. Aquamate will not be responsible for any direct or indirect costs that occur in the event of the repair or replacement of one of its Water Tanks. Aquamate is not liable to the Customer for any personal injury, incidental damages, consequential losses, or any like claims whatsoever. This warranty is in addition to any non-excludable legal rights or remedies conferred on the purchaser under any laws which apply to the goods sold by Aquamate. 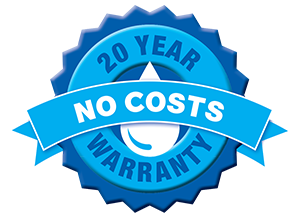 Incorrect installation, handling and usage of Aquamate Water Tanks will prevent a purchaser from making any claim under this warranty. This warranty will be void if the installation is not carried out strictly in accordance with Aquamate’s written instructions and maintained thereafter. The onus is on the purchaser to ensure the Water Tank is maintained correctly and sited on the prescribed tank pad as per our instruction. If the Customer fails to install the Aquamate metal dome roof within one week of installing the liner, the warranty period is reduced to 5 years and the pro-rata liability of the Customer shall be adjusted accordingly. Other than as expressly set forth herein, Aquamate disclaims any other warranty of any type, whether expressed or implied, including any warranty of merchantability or of fitness for a particular purpose.